Designed for the typical amateur player who wants to improve his or her chess skills, this clear, straightforward guide provides the extra knowledge and technique that turns a losing player into a winner. The author, a well-known chess teacher and author of a dozen books on openings, coaches the reader through all the fundamentals of attacking, sacrifices, defense, positional play and choosing a move, as well as how to approach the endgame. The crucial processes of assessing the position and choosing a move are examined in depth, and there are helpful sections on how to cope with difficult positions and time-trouble. Several illustrative games, from the annals of the imaginary Midlington Chess Club, add a light touch to this expert practical guide to better chess. 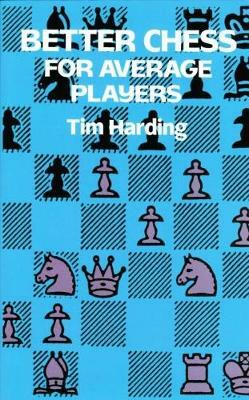 Tim Harding is a well-known chess author and captain of the Irish Correspondence Chess Team. He represented Ireland in the 1984 FIDE chess Olympiad in Thessaloniki.